Northern sea otters are the smallest marine mammals, growing to about 4 feet in length and averaging up to 65 pounds. Air bubbles groomed into their fur serve as insulation in cold water. 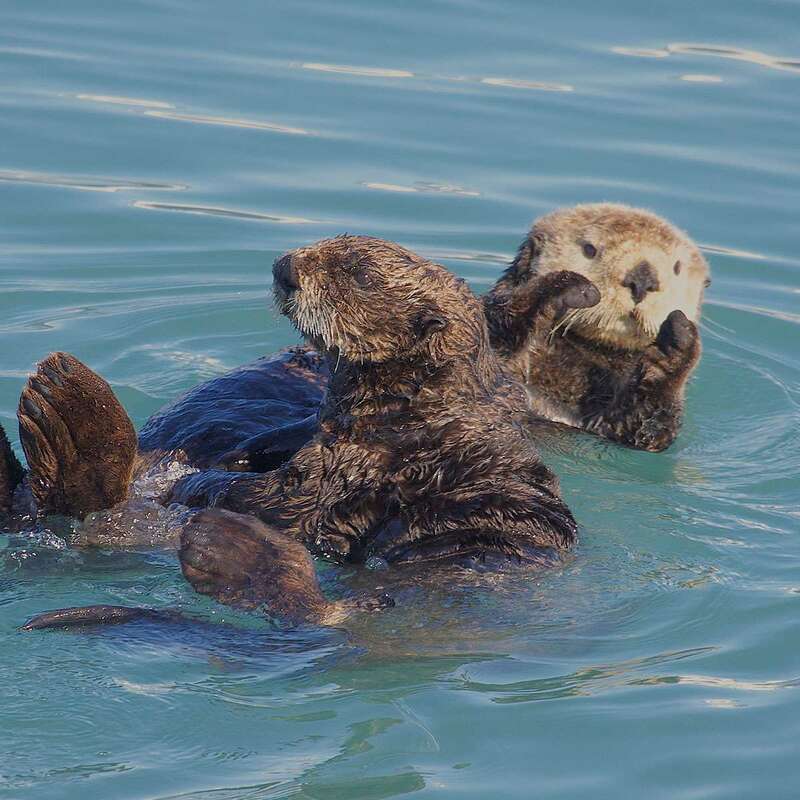 Sea otters use rocks as hammers to break into the sea urchins and clams they eat. Northern sea otters are generally found in shallow waters within about a mile of the shore. The sea floor in these areas is generally less than 300 feet deep, allowing sea otters to dive down and find food on the bottom. While they occasionally sleep or give birth on shore, most of their lives are spent in the water. The northern sea otter can be found off the coasts of Alaska and Washington state. Its cousin, the southern sea otter, is found off the coasts of California. Sea otters were hunted for their fur in the 18th and 19th century, nearly driving the species to extinction. Banning commercial harvests allowed them to rebound. However, the population has been in decline since the mid-1980s. While human activities, including oil spills, have had some impact, an increase in predation by killer whales seems to be the main cause. Scientists are monitoring and studying the northern sea otter population and its habitat to help the species recover, including ongoing research on the shifts in predation by killer whales, the highest priority threat. 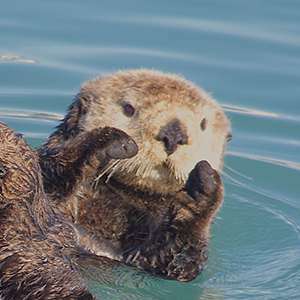 Sea otters in other parts of Alaska are thriving, giving experts hope that the population around Katmai will reach stable, sustainable levels.